Reliable safety technology for presses should not only be flexible and powerful, but economical too. We can help you to equip and retrofit your presses safely and guarantee safe operation. As an experienced partner in forming technology, Pilz can guide you through a new design and retrofitover the entire machine lifecycle, to guarantee press safety. PNOZmulti 2 are modular safety systems: There are two base units and numerous expansion modules available for various application options. The small control systems can be applied particularly user-friendly with the freely configurable software tool. You configure the hardware and the required software functions directly in the tool. For the monitoring of mechanical presses we developed the dual-pole semiconductor output module PNOZ m EF 8DI2DOT. It serves the actuation of press safety valves, and also or other actuators that require dual-pole switching. PNOZ m EF 8DI2DOT has two safety outputs and eight digital inputs for which you can configure a filter time. Profit from cycle times of approx. 3 ms and fats reaction times of below 8 ms. You can configure your press safety functions easily and quickly with certified press blocks in PNOZmulti Configurator! Whether there are new presses or press retrofit: With a width of 22.5 mm the new press module fits into any control cabinet! 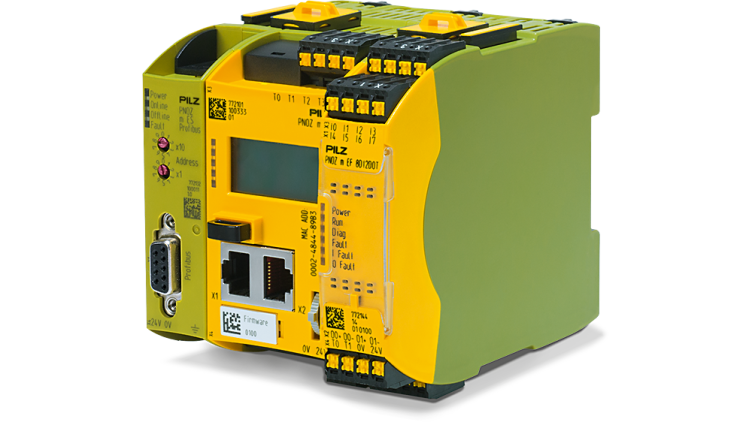 Further information on small control systems PNOZmulti 2! From a manually operated standalone workstation to a fully automated press line, we can provide solutions for all types of press. For special requirements in press technology Pilz has developed an electronic rotary cam arrangement, which increases both the productivity and safety of the press in combination with the automation system PSS 4000. For press brakes in particular we can offer an extremely productive solution with the camera-based protection and measuring system PSENvip. When press retrofits are planned and implemented on a sound basis, our experts can equip even older models with the latest electrical, control and safety technology. For example, eccentric or hydraulic presses are characterised by a long service life thanks to their solid base and robust mechanics. Following a retrofit, they can go on to meet press safety, productivity and quality requirements for a further 10 to 20 years. Approved safety concepts in accordance with international norms and standards. 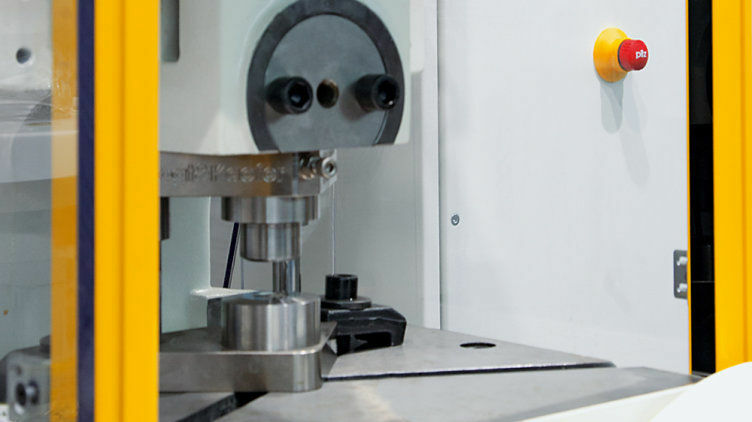 Find out more about Safety solutions and concepts for your machine tools..